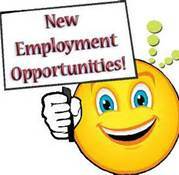 Creative Surfaces has a wonderful Employment Opportunity for someone with Interior Design/Sales skills. If you are looking or know of someone looking to utilize their education and skills in Interior Design, please pass this opportunity along to them. Description: Creative Surfaces Inc a National manufacturing company of custom store fixtures, signage, and countertops with manufacturing facilities in Sioux Falls, SD and Rapid City, SD is seeking an Interior Designer to assist the Countertop Division in Sioux Falls, SD. This position is part-time and the person will work at our retail showroom the Stone Center on Minnesota Ave. The individual will work part-time starting early September and when our full-time designer goes on maternity leave this person will be expected to work full-time but return to part-time when she returns from leave. * Meet with walk-in customers daily assisting in countertop and tile selection. * Provide quotes to customers for tile. * Order additional tile samples per customer requests. * Schedule installs for countertops and tile. * Administrative duties such as answering phone, assisting with invoicing, etc.